On April 21, 2008, the USGS officially announced the timeline of which the entire Landsat archive will be available to download by all users at no charge. Landsat data were reprocessed to standard parameters (UTM projection, WGS84 datum, cubic convolution resampling, and GeoTIFF data format) and on October 1, 2008, Landsat 7 data became downloadable. Landsat 1-5 data became available in early January 2009. As of March 31, 2018, Landsat scenes have been downloaded more than 75 million times! 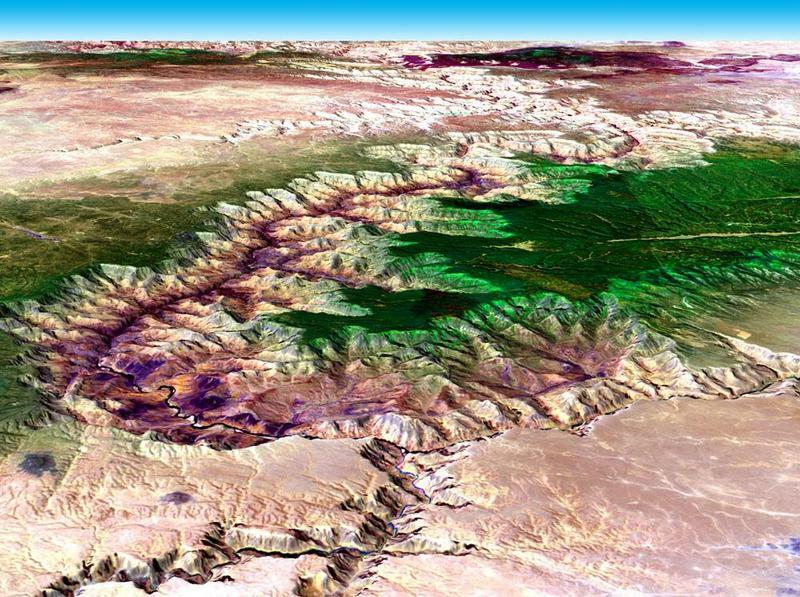 These video showcase how opening the Landsat archive has greatly enhanced land change studies. 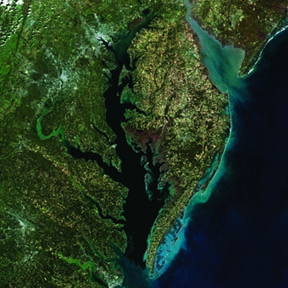 Landsat 8 Celebrates 5 Years! This video series provide easy to understand information on Landsat 8's orbit, its sensors, and data recording, downlinking and processing activities. The USGS recently reorganized the Landsat Level-1 archive into a formal tiered data Collection structure. This series of videos explain why Landsat Collection 1 is the highest quality inventory of Landsat data ever created. 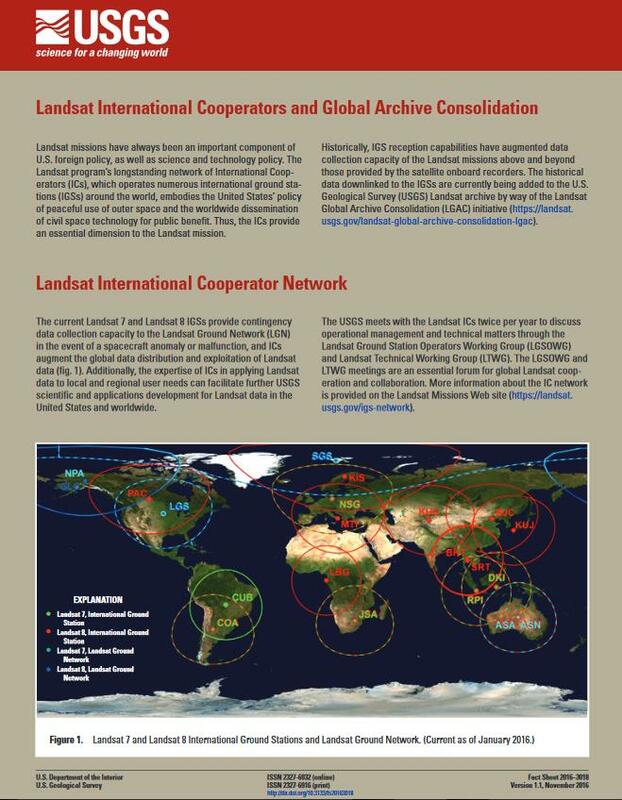 Visit the Landsat Collections webpage for more information. Landsat ARD are tile-based science products consistently processed to the highest standards and level of processing required for direct use in scientific applications. This video introduces ARD and how it ensures accurate data for use in time-series analysis and reduces the burden of data pre-processing for science applications. 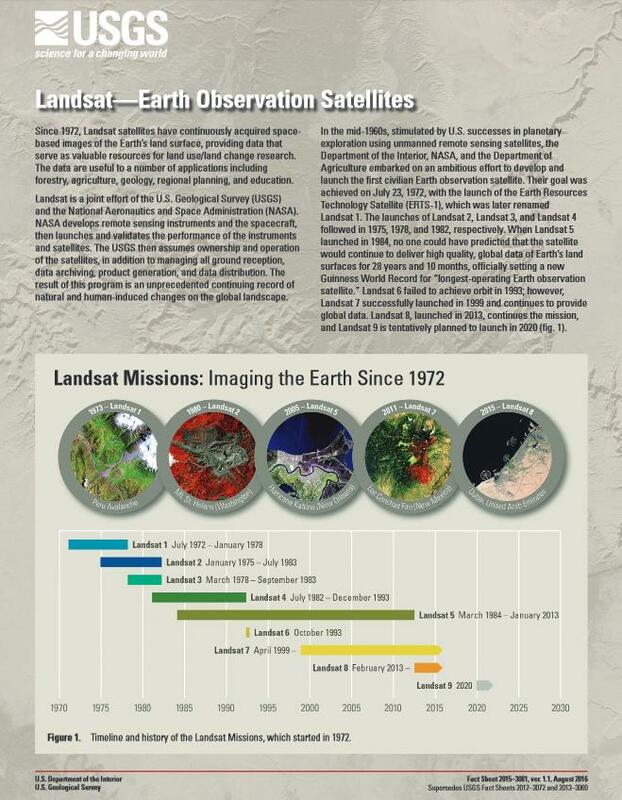 Visit the Landsat ARD webpage for more information. This collection highlights some Landsat Science Team members as they share their thoughts on how the value of Landsat data has impacted their research. These and other interesting publications can be found in the USGS Publications Library. These and many other interesting images can be found in the USGS Land Remote Sensing Image Collection Gallery.